You will find jobs targeted at students and educational institutions. Check out jobs at Tiitus job market, and create Tiitus profile for job search. You can reach several educational institutions and their students with one announcement. Find young talents easily and quickly by using Tiitus! Tiitus combines student and employers. Tiitus strengthens the institution’s relationships with local businesses and serves as a channel for communicating open work positions and internships. 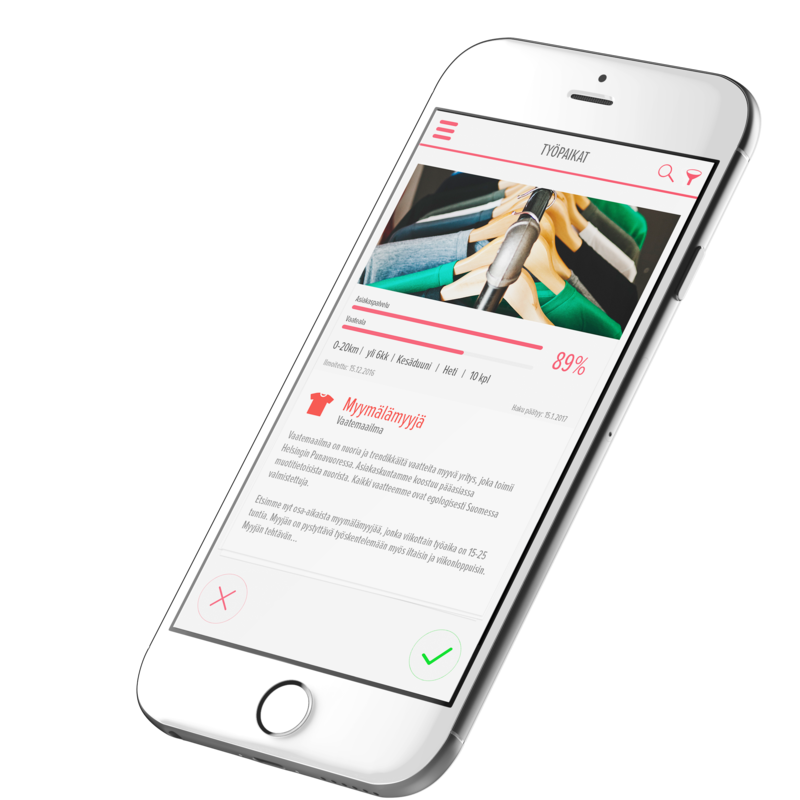 Tiitus is a new job search application that will make applying faster and easier. You won’t need to fill in dozens of forms – instead, you can handily apply for all open positions using a single profile. The application will offer suggestions regarding open positions that best suit you. Applying only requires a few taps. After applying, you can track the progress of your application in real time on your phone. You can also chat with employers and initiate conversations even before the first interview is scheduled. Employers can also find and contact you — make your profile reflect the real you!